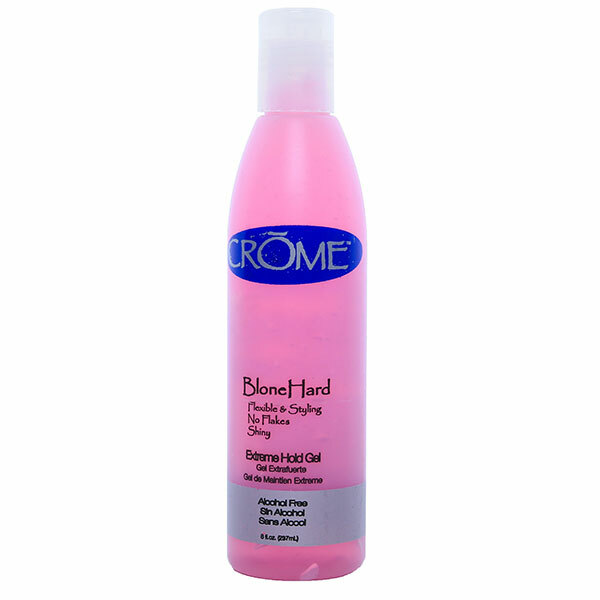 BLONE HARD is the perfect alcohol free hard holding shine gel. Gives structure to any hairstyle. Conditions while adding a brilliant shine. Application: Emulsify in your hands. Distribute evenly from roots to ends, style as usual. For best volume and shine results, towel dry hair, distribute evenly, and then blow dry. Companion product: Follow with Crome Plate for maximum hold and shine.